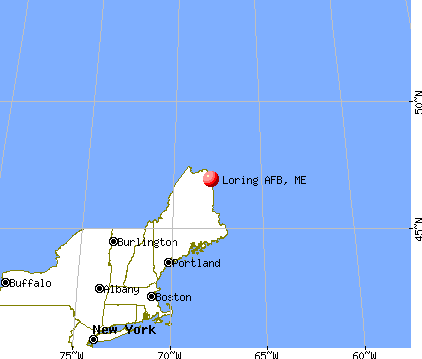 During the height of the Cold War in the 1970’s, Loring Air Force Base situated in the northeast corner of the state of Maine, was the biggest strategic nuclear B-52 bomber base in the world. 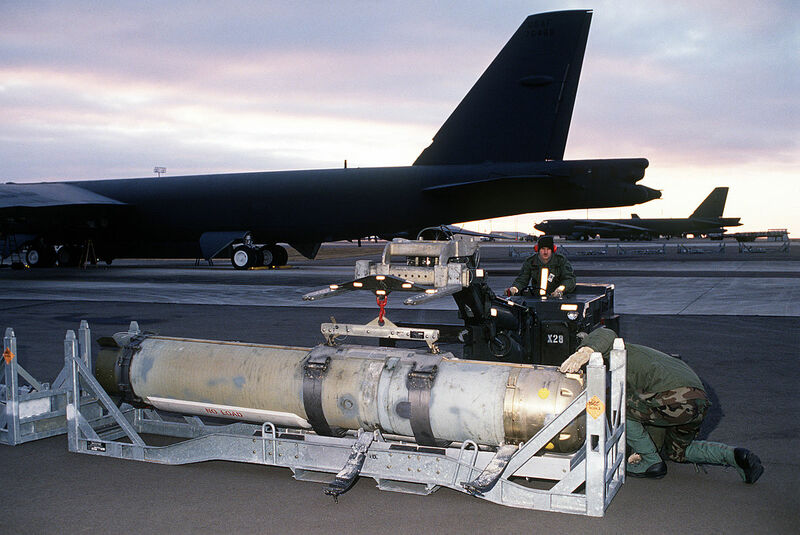 The 42nd Bomb Wing was the host unit at Loring Air Force Base from 1953 until 1994, supporting national security objectives with mission-ready B-52 Stratofortresses, and KC-135 Stratotanker aircraft. The wing had the ability to deploy at any time to support both Strategic Air Command, and later, Air Combat Command missions. 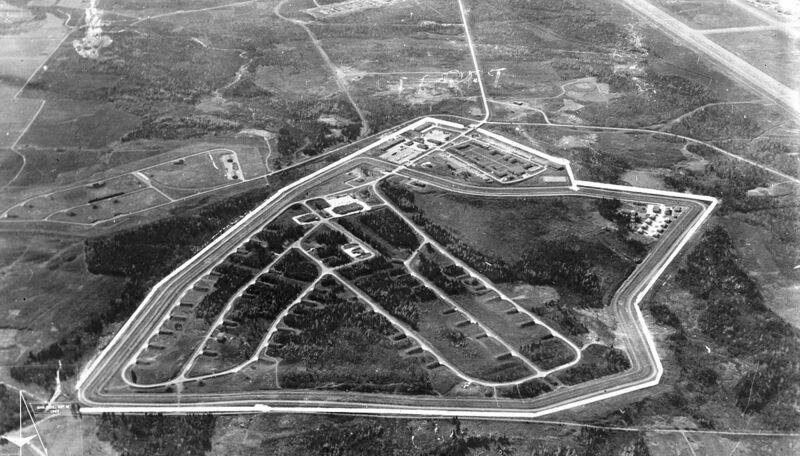 It was operational at Loring from 1953 to 1994. 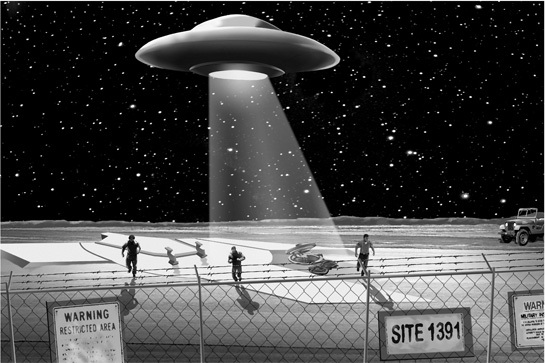 During the fall of 1975, the base was the location of unidentified flying object sightings. During the night of 27 October, an unidentified object was spotted hovering near the secure weapons area (the former Caribou Air Force Station). Around 7:45 at night, a member of the 42nd Security Police Squadron spotted an apparent aircraft over the northern perimeter of the base, at a low altitude. A later teletype message to the National Military Command Center in Washington, D.C., stated: “The A/C [aircraft] definitely penetrated the LAFB [Loring Air Force Base] northern perimeter and on one occasion was within 300 yards of the munitions storage area perimeter.” In the control tower, a member of the 2192nd Communications Squadron was on duty, when he picked up the craft on radar, nearing the base. After trying to contact the unidentified aircraft to warn it that it was approaching a restricted area, the aircraft entered the airspace over the nuclear weapons storage area and hovered over it at an altitude of 300 feet, later lowering to 150 feet. Commander of the 42d Bombardment Wing, Colonel Robert E. Chapman arrived fifteen minutes later at the weapons storage area and police units were ordered in as well. At this time, he also declared a Security Option 3. Security Option 3 basically seals a base. Nobody in, nobody out. At 8:45, another person who was on duty in the control tower received a call to track the mysterious craft on radar. For the next forty minutes, it was observed circling around the weapons storage area, when it suddenly vanished, as though it had landed or dropped below the radar. Witnesses later observed it flying away towards Grand Falls, New Brunswick, twelve miles to the east. Messages were sent to the National Military Command Center, the Air Force Chief of Staff, and Strategic Air Command headquarters at Offutt Air Force Base. The base continued to remain on a high state of alert until the following morning, as efforts to identify the unidentified aircraft through the Maine State Police, local police departments, and the Houlton Federal Aviation Administration office remained elusive. The next night at 7:45, a craft very similar to the one the night before approached the base. In addition to being tracked on radar, it hovered around the area for thirty minutes, with characteristics of movement similar to a helicopter. Additionally, it hovered above the weapons storage area at the same altitude as the night before. At this time, possibly another object (it is unclear if it was the same one as the over the weapons storage area, but it is possible) was spotted over the flight line. The cigar-shaped object was described as hovering in mid-air, jerking around, and turning on and off its lights once. During the blackout, it traveled from the flight line, to the northern end of the runway. According to one service member, the object was chased, and eventually discovered to be hovering five feet off the ground. During this time, it was determined that the object was four car lengths long. Once again, the object was tracked on radar, taking off towards New Brunswick. Teletype messages were again sent to higher commands, with no explanation being found. One teletype sent on November from Loring’s Office of Special Investigations detachment to the National Military Command Center and OSI headquarters reported another, “unidentified helicopter sighted at low level over Loring AFB” over the past two nights (31 October – 1 November). It also referred to the intruder as an “unknown entity.” Additionally, Captain Richard R. Fuhs an Operations Officer in the 42nd Security Police Squadron (SPS) stated, “…advised that there had been three verified sightings of an unidentified A/C [aircraft] flying at low level over and in the vicinity of LAFB” during this period. An initial sighting was made by a member of the 42nd, who was on duty at 11:14 pm Another member spotted the object near the East Gate, going from east to west. Though the first two nights of UFO sightings would be the most dramatic, the appearance of UFOs did not end there. There would continue to be sighting reports for the rest of the year in the area. Investigations by military and civilian groups yielded no results, at least for public consumption. As information did leak out in time, there could be no doubt that the sightings at Loring Air Force Base were only part of a UFO flap. 1. 1. Greenwood, Lawrence Fawcett, Barry J. (1984). Clear intent: the government coverup of the UFO experience. Englewood Cliffs, N.J.: Prentice-Hall. ISBN 978-0131366497.